Virtual Reality is currently at the cusp of takeoff as shown in a Gartner study and as more and more developers are trying to explore this new immersive technology, the virtual reality developer & consumer community is increasing at really fast pace. Developers around the world are creating and uploading “immersive” content. Immersiveness and “presence” in virtual content is a truly great experience. But, the term “Virtual Reality Experiences” is getting confusing as there are more 360° photos/videos more than real time, immersive content. Most of these content are published on the mobile VR platform like Samsung Gear VR or Google Cardboard or in Google Daydream, in the future. The Confusion My view is that the people who are currently experiencing VR content on their Samung Gear VR are mostly consuming 360° stereoscopic images or 360° videos. The major problem that I see with the 360° content is that it is yet a photo or a video albeit captured by a 360° camera and with that one cannot truly experience the actual “presence” or feeling of being somewhere else because one cannot walk freely in the virtual world or get the sense of size, scale, depth and height. So, according to me Virtual Reality content should have at least 3° of Immersion (not referring to the DoF of movement in a 3D world), i.e you should be able to walk, interact with the virtual objects and see around freely without being in a fixed position. True immersiveness lies within the power of the user’s senses and giving the user the ability for manipulation using these senses, therby given them control in the virtual world. So VR content creators would do well to use the 3° of Immersion. VirtualSpaces, my startup does exactly this. Uses the 3° of Immersion that can be used to provide a more immersive Mobile VR application that solves a key problem of the Real Estate Industry. 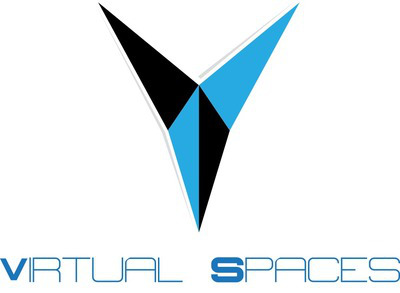 I, Abhijeet Naik, am a co-founder of a Mobile Virtual Reality startup, VirtualSpaces. We are a Mobile Virtual Reality startup that is augmenting the sales process of the Real Estate industry providing immersive visualization solutions for “Yet-to-be-Built” properties here in India.